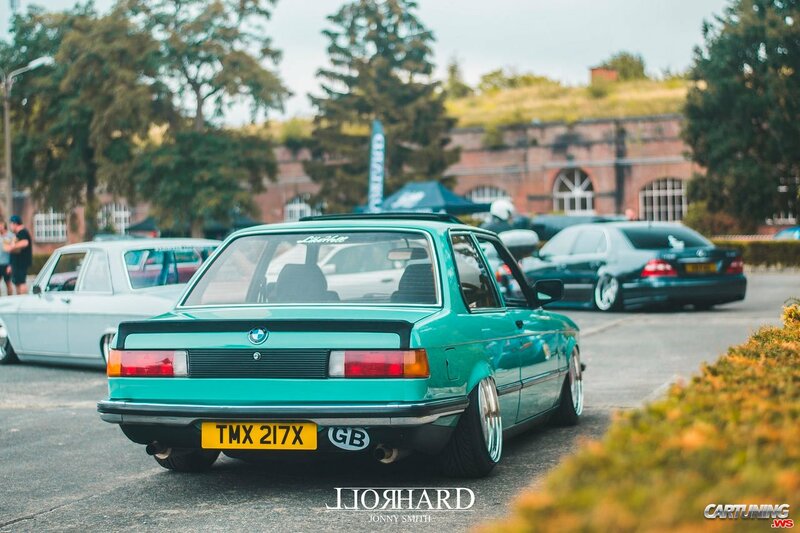 Mint BMW 3 E21 from Great Britain. Looks like simple lowered E21, but it's so simple. It's classic restomod. Restored body and interior E21, more modern and powerful engine BMW M50, lowered and modified suspension with polished wheels. Such combination is enough even for everyday using.